Opiate withdrawal can occur when discontinuing the use of opium-based drugs, and the experience may be almost as harrowing as opiate addiction. 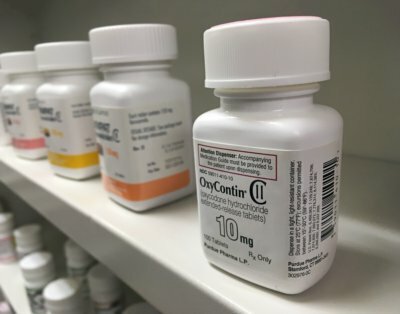 Opiates are often prescribed to help patients deal with pain of one sort or another, but when doctors begin to take away that drug, the pain can return—often in a quick manner. This can lead sufferers to avoid leaving the “safety net” of the drug, thus feeding a cycle of addiction. But it doesn’t have to be this way, and part of what may help is knowing what might lie ahead. With that in mind, we present an opiate withdrawal timeline: a guide on what to expect and when to expect it when quitting the use of opiates or greatly reducing the dosage after a lengthy period of use. We’ll cover opiate withdrawal symptoms, complications and prevention tips. What is opiate withdrawal exactly? Put simply, it is what happens when you stop using opiates. Opiates are medications derived from the substance opium, which is naturally produced by the seeds of the poppy plant. The drugs could be legal opiates like morphine, “Oxycontin,” “Vicodin,” or “Dilaudid.” They could also be illegal substances like heroin, but regardless, the person has either stopped using them or dramatically decreased the dose. The withdrawal can begin whether that drug use stoppage happens slowly or suddenly. And it can cause a number of physical symptoms and complications. Make no mistake—this process can be incredibly unpleasant. If the physical dependency on the opiate is great, the withdrawal itself can be deadly when done improperly or unmonitored by medical professionals. Depending on the severity of the physical dependency to opiates, the physical symptoms might last for approximately a week, but may run a bit longer. The symptoms that have a psychological base like depression, anxiety, agitation, and drug cravings can last long past the one-week mark. These symptoms can be relieved during the withdrawal process with a few different medications. Methadone can be used to slowly wean opiate users and help mitigate the symptoms during the process. This in itself can become an issue, as methadone is also an opiate. Buprenorphine can be used to help shorten the term of the symptoms. Clonidine can be prescribed to help reduce the many of the symptoms like muscle aches, anxiety, runny nose, agitation, sweating, and cramping, but unfortunately, this drug will not help reduce any of the drug cravings. Now that you know what the main aspects of withdrawal are about, it’s time to look at the complications that come with it. While the symptoms of opiate withdrawal can be difficult to deal with, there are also complications that come with opiate withdrawal that have to be taken into account. Dehydration is a major complication and concern due to the possibilities of diarrhea and vomiting. Vomiting also brings with it the potential of aspiration, if the vomit is breathed in and enters the lungs as opposed to leaving the body. Aspiration can lead to respiratory issues like pneumonia and lung infections. In most instances, opiates are used to control and manage pain. Once patients are off opiates, the pain that was being medicated with them will most likely return. The biggest complication that comes with opiate withdrawal is relapse. The problem with opiates is that the more you use them, the weaker the effect becomes. Active users typically have to go for bigger doses in order to reproduce the effects of the first few uses. After a person has gone through full-blown withdrawal and is relatively clean, if that person returns to the opiate use, they will often resume the same dosage they were last using. The danger with this is that the body can no longer handle this amount of opiate, which often leads the person to a severe overdose. While there is no way to truly prevent withdrawal in an opiate user, there are a few things that you can do to make the entire process a bit easier. Your best bet is to leave opiates with the help of a medical professional. A doctor can help monitor your health as you are going through withdrawal and, if needed, can prescribe drugs to help the process of withdrawal a little easier. It is a simple suggestion, but keeping hydrated with water and healthy electrolyte-packed drinks can help with the complications that come with sweats, diarrhea, and vomiting. While quitting opiates outright can work for some, it can lead to severe (and possibly fatal) withdrawal symptoms or a quick relapse in others. A better method is to slowly wean yourself of the opiates, so the body can slowly readjust to life without them. This is also best done under doctor supervision. Opiate Withdrawal Timeline: Be Careful! If you have an opiate addiction or are looking to quit the use of opiates, there is a good chance that this information has overwhelmed you. Opiate withdrawal can, in fact, be a very scary and dangerous condition. But do not allow fear to prevent you from seeking help. There is a light at the end of the tunnel for those who successfully kick the habit. Your opiate withdrawal timeline may be longer and more difficult than expected, but it is possible. Just make sure to take precautions. It is best to get a medical professional, whether a physician or drug counselor, involved in your treatment to minimize both symptoms and the chance of relapse. Hopefully, you will come out the other side better than you are today. “Opiate Withdrawal,” Opiate.com, https://www.opiate.com/withdrawal/, last accessed July 21, 2017. Case-Lo, C., “Opiate Withdrawal,” Healthline, October 20, 2015, http://www.healthline.com/health/opiate-withdrawal#overview1, last accessed July 21, 2017. “Opiate Withdrawal Timelines, Symptoms and Treatment,” American Addiction Centers, http://americanaddictioncenters.org/withdrawal-timelines-treatments/opiate/, last accessed July 21, 2017. “Opiate and Opioid Withdrawal,” Medline Plus, https://medlineplus.gov/ency/article/000949.htm, last accessed July 21, 2017. “What is Opium?” Opium; http://opium.com/what-is-opium/, last accessed July 21, 2017.